"What can I do to help my child improve their language skills?" This is a common question I hear regularly, especially now that I'm working with preschoolers. Although it may not be a mystery to us in the field, many parents (and other professionals) do not know how or what to do with their little ones when it comes to literacy. 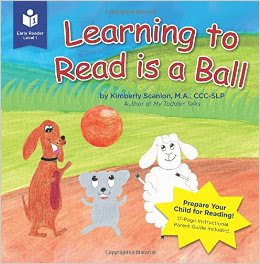 Kimberly Scanlon's book, "Learning to Read is a Ball" is just the type of resource for those who are looking to work on important language skills but are unsure of how to do so. In this simply illustrated book, you will find a 28-page picture book accompanied by a 17-page parent guide that covers techniques to develop oral language, strategies to improve vocabulary using synonyms and antonyms, methods of increasing print awareness and much more! One of my favorite illustrations from the book. 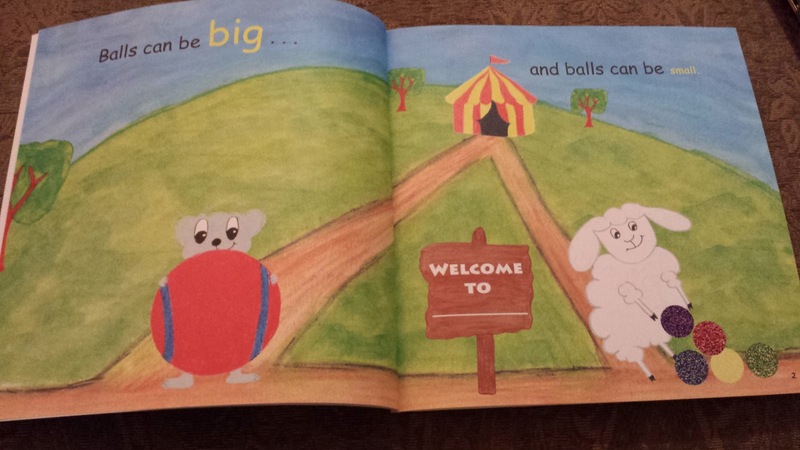 Undoubtedly, children will find the illustrations and story line of "Learning to Read is a Ball" captivating. 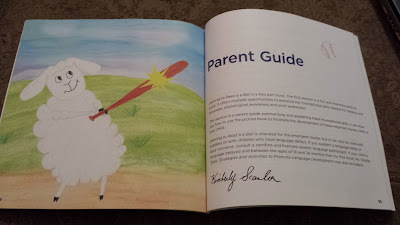 However, I believe the parent guide is the most valuable portion of this book. Not only will it provide strategies and tips to use with "Learning to Read is a Ball", but it also serves as a great jumping-off point for a host of other books! Bottom line, I will definitely be recommending this book to the preschool families I work with. "Learning to Read is a Ball", can also serve as a lovely parting gift for many of my students who are transitioning to kindergarten. So now that I've gushed over this wonderful book, you're probably interested in getting your hands on it! Lucky for you Kimberly was kind enough to provide a copy for me to giveaway. Enter below with Rafflecopter. Would LOVE to have this! I see so many great ways to use this with a variety of clients on my caseload! This looks like a great resource to share with parents! What a FUN book and great to provide for parents! This book looks very interesting. I would love to have this book. Kim also wrote "My Toddler Talks" and that was a great book for parents. I am sure this is a great one too.